This book contains 5 dolls-including, King Arthur, Guinevere, Sir Lancelot, Merlin the wizard, and the enchantress Morgan le Fay. Each character from the Camelot story has a variety of outfits specially designed by the illustrator, which include gowns, armor, crowns, and swords. 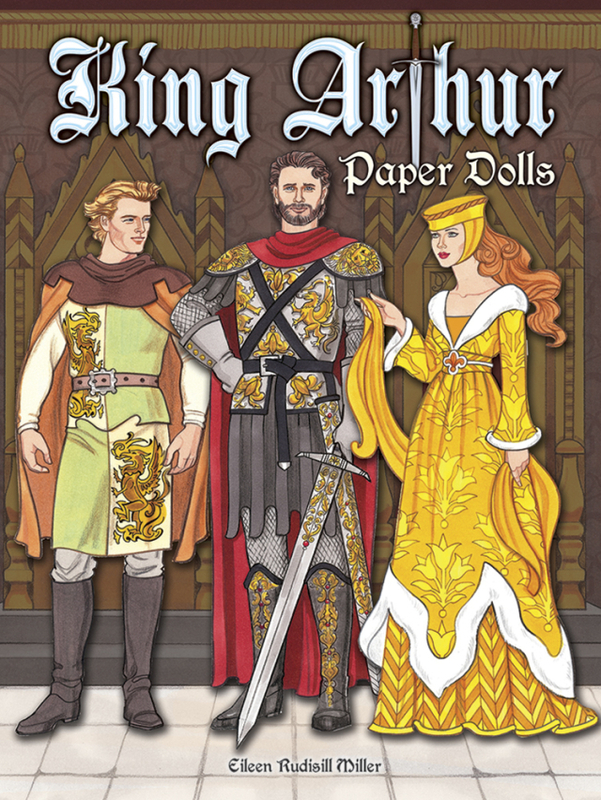 In addition, the inside covers feature a regal full-color backdrop for the dolls.